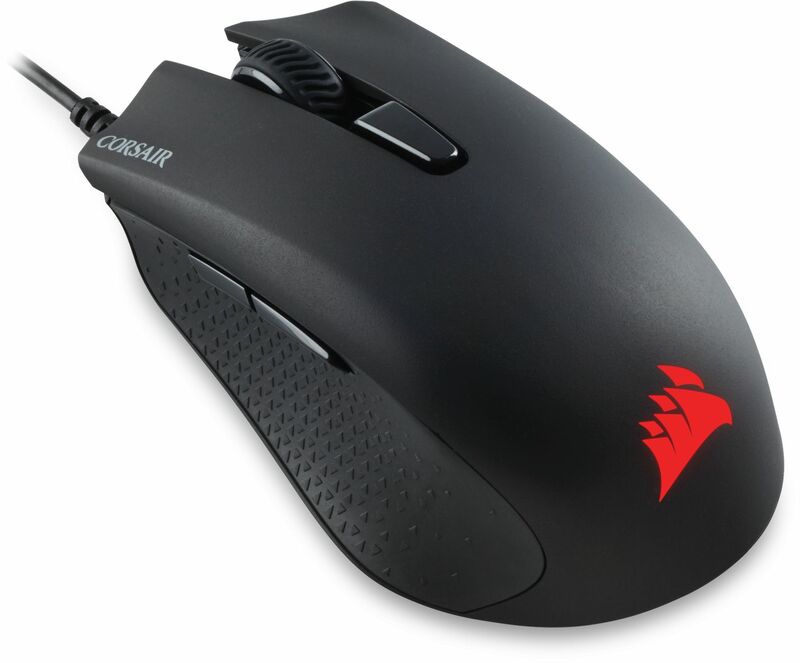 The CORSAIR HARPOON RGB mouse features a 6000 DPI optical gaming sensor with advanced tracking for precise control. 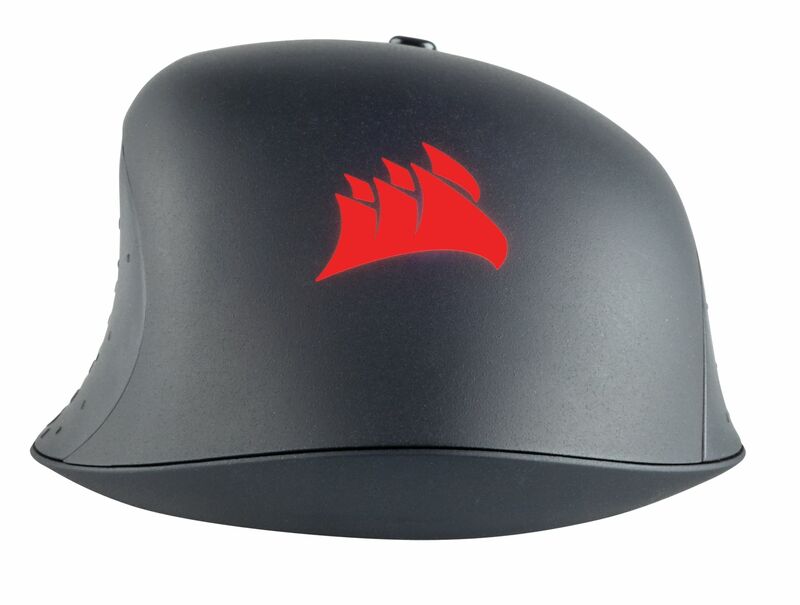 The Corsair Harpoon RGB mouse is built to perform, featuring a 6000 DPI optical gaming sensor with advanced tracking for precise control. The lightweight, contoured design supports the quickest of movements. The contoured shape and rubber side grips accommodate various hand grips and play styles. Equipped with six fully-programmable buttons and on-board memory, the HARPOON RGB enables extensive customisation and portability. 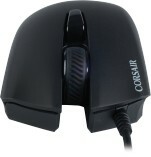 On-the-fly DPI switching adapts your mouse sensitivity to the situation for total command in every environment. The Omron switches are rated for 20 million clicks, providing an ultrafast response and reliability over time. Immersive, dynamic multi colour backlighting offers virtually unlimited customisation to make Harpoon RGB your own. Designed to fit naturally in your hand and support multiple grip styles. The upper-surface features a fine coarse finish to provide a slip-free experience for ultimate control. 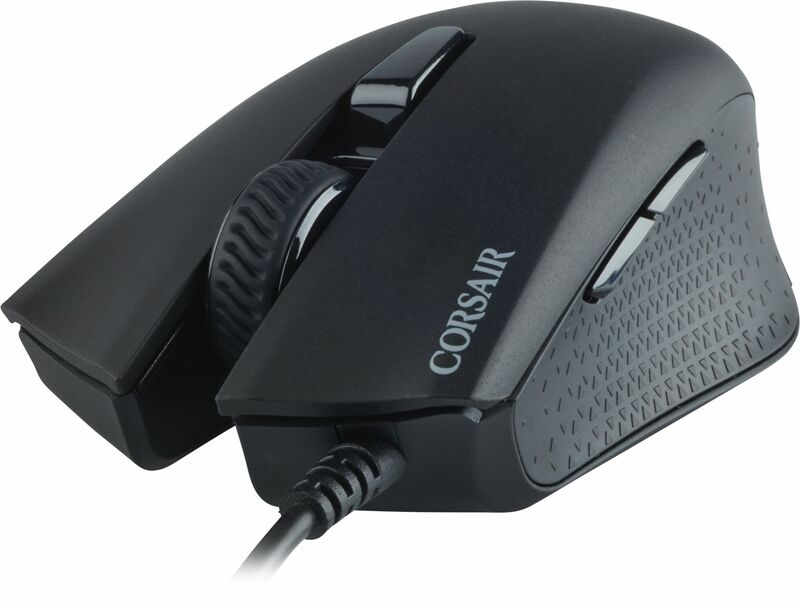 The compact and lightweight body to help you with quick reactions and reduce fatigue over time. Molded rubber side grips enable you to hold the mouse with a confident, firm grip. It doesn't slip when lifting the mouse or when making long or quick swipes. Take control with extensive customisation, anything from simple remaps to complex macros. Preconfigured for the best performance. No drivers, software or additional setup required. Customise your DPI stages and take them with you, knowing they are stored safely on your mouse. Custom tuned for gaming, providing an ultrafast response and reliability over time. Smart lighting gives you that touch of personalisation that makes it your own. Enjoy virtually infinite colour and lighting effect customisation. 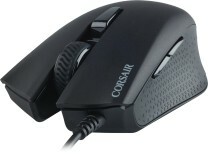 Compatible with Corsair iCUE.